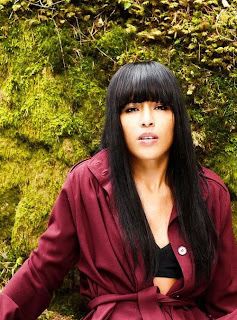 We start a season of haunting for a new Loreen's track "She's The One" that was one of options to be released after "My Heart Is Refusing Me" but finally they've chosen "Sober" and we think it was right though "She's The One" sounds quite promising. Recently Loreen has performed new track during live set in Stockholm trade center Gallerian and below you can check the result. I've got a feeling keyboard-player had really hard times with untuned sound, so you should understand that it's just a rough sneak peek of the song that can finally become pretty different in studio version but currently seems to be in a trend of Loreen's dance music with its ragged club-synths, expressive vocals, delicious strings and this time lighter, less dramatic melody line. You should check full performance though as two other songs - acoustic "My Heart Is Refusing Me" and awesome intimate version of "Sober" with synths sounding very beautiful were just perfect!